My Road To Freedom ! Welcome to the "About Me" page on my site. This is where I open my heart, and let you know not just the boring trite things about me, my life and my family but actually how I have been on one hell of a journey. A journey that has led you to sitting wherever you are reading this page. No actually, I'm going to do things a little differently and show you a video that I first saw a few years ago, and changed my life. Take a look, and then if you are still interested with me, I can bore you with what led me to finding this little gem amongst all the other rubbish that bombard you through the internet. And man aren't I glad that I did find it! With One Click And A Two Minute Video My Life Changed Forever! So let's go back in time and start my story, a few months before I had discovered this great video. I don’t know about your life, my precious reader, but a few years ago I was bored. I had a good job, great wife, lovely kids, fantastic holidays every year, but there was something missing. I couldn’t put my finger on it, but it was there. “But what things exactly” she would ask, as she continued to stir the bolognaise sauce that simmered on the cooker "I thought that this job was going to be your dream job"
I didn’t really have anything to be fed up about. It was my dream job. I was a trainer, dealing with creating products and courses in the financial industry. I was good at doing it, and knew it. The company loved me. The attendees to my courses raved about me. But still it persisted. That nagging…there must be more to life than this feeling. 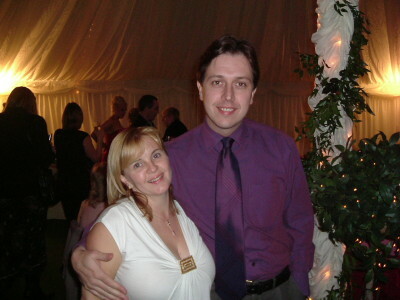 Before The Wife Realised I Had Gone Mad and Wanted To Quit My Job! Now, as much as I like a good John Grisham book, and can easily lose myself in a Stephen King epic, I like self-help books. “Here he Goes again” they would say, to which I would look at them with a wry smile and a simple shrug of the shoulders. I didn’t care I was looking for answers. I was looking for that key to make my life different. One day when I least expected it, I realised what I wanted. It wasn't money (although I won’t turn that down if it comes my way), it wasn’t better holidays, it was choices. A simple word that had huge impact on me, when I realised that what was lacking in my life was the simple realisation that I never had any choices. I always had to do what I was expected to do, at the time that I had to do it. I had to get up at the sametime everyday. I had to be at my desk at the sametime everyday. I left at the....yeah you guessed it. I needed freedom to be able gain those choices to do what I wanted, whenever I could. It’s funny when you realise what you want in life, you suddenly get things appearing that you probably wouldn't have seen before. My first gift was a book that I found on Amazon by Tim Ferriss. I realised that although I wanted choices and freedom I still had to provide for my family. I didn’t fancy saying to the wife and kids….”Ok kids, it’s no more TV, Nintendo, Parties, Family Holidays, Visits to the Cinema, as I have got great news……….You will get to spend more time with your Dad from now on. Although they love me, I think TV and Holidays edge me out every time. So what I needed to do was find a way of earning cash, but stepping away from my current problems. And Tim Ferriss’s book came to the answer. It’s about changing your lifestyle to fit your income, or simply finding more ways to find more income. The book was a blinder. I devoured it in two days and realised that I could do anything I wanted and now just had to find a way of making extra cash so I could do it. Within three weeks I was able to work four days per week. Not quite the 4 hours, but it gave me time to work on other things. But hang on a bit.. He also said that you need to find your passion in life. Something that excites you everyday. The thing that even when it gets hard you will want to work at. Now that was another problem to add to my list. I could tell you what I wasn’t passionate about for hours on end, but what was it that rocked my world, and really got the juices flowing. What was the one thing about me that I could focus on? To tell you the truth, I couldn’t think for the life of me what I wanted to be doing. So I gave up on the idea. And probably the moment that I stopped striving to find out how I could change my life was the day that Ken Evoy and SBI entered my life. Take a look at this simple video, and honestly from the bottom of my heart its no scam! I have found them to be truly brilliant......but hey let the video explain about the company. And friends, from that moment onwards I had three things propelling me on. My desire to work when I wanted, and my desire to work where I wanted. And most importantly my passion. I have loved the place all my life, and since I no longer live there, I love it even more. The thing about me is I wanted to share my passion for the most beautiful place on earth and make a great living at the same time. And I am now doing it. And guess what…you can too. It doesn't matter if you can barely turn on a computer as SBI do everything technical for you. All you have to do is write content, add pictures and make things look pretty. Ok, there's a bit more to it than that, but I cant emphasize enough if I can do it then so can YOU! And you know, now three years down the line, I am doing things on my online business, that owners of companies have asked me to do for them, because they are advanced stuff. Hugely technical, brainy stuff that companies pay a fortune for people to do for them. And I always turn them down, because I don't know how to do what they want me to. 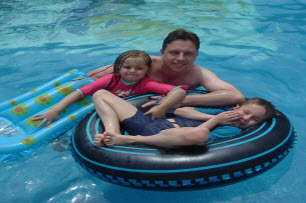 Well as I am writing this, it's the six weeks school summer holiday, and so the kids are at home with us. However this year, because of this little old site, and the fact that I dont have to worry about annual leave anymore, we aren't at home, but instead are spending it in the sunshine in Turkey. Six weeks in Turkey, which is costing less than staying at home doing the normal things that we spend ourselves doing. But that is just geography, so in answer to the question "Where I Am Now?" I am in a great place in my life. I choose to work when I want. And I can take my work with me wherever I want to go. And so thats it really. That is everything about me. I could have spent hours, giving you the full story about me, but who wants that really? You have your own life to lead, and those boxsets of "24" are still waiting for you by the side of your television. But I will give you just one word.....ok two words that I think summarise me perfectly and gives you more insight about me than a 400 page biography could ever do. I was so lucky to find my true calling in my life, but I guess I was commited to finding it too. Follow your passion and find your choices and perhaps one day we can sit together in The Keys, with a cool cocktail in our hand and wonder, why it took so long for everything to become to right.